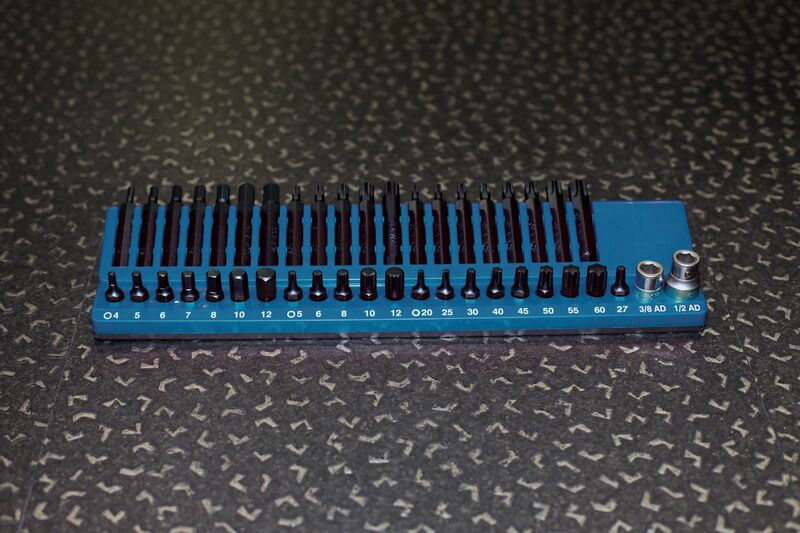 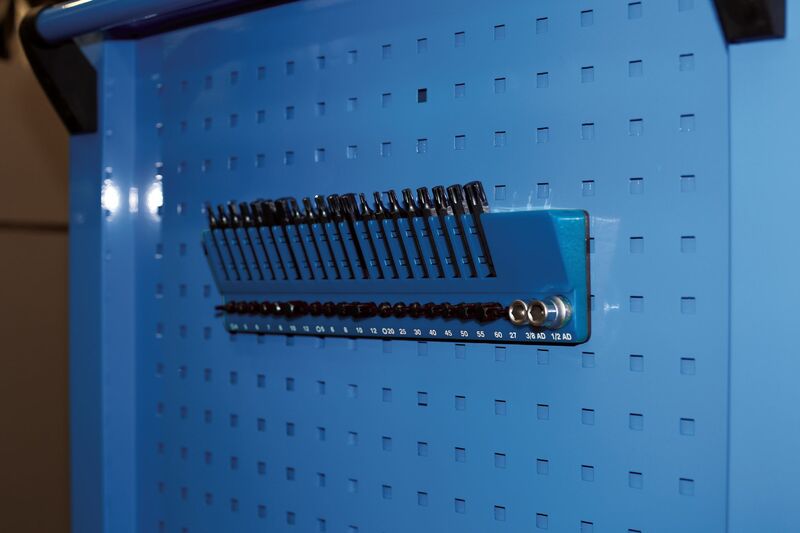 Magnetic bit organiser holds 43 bits and adaptors. 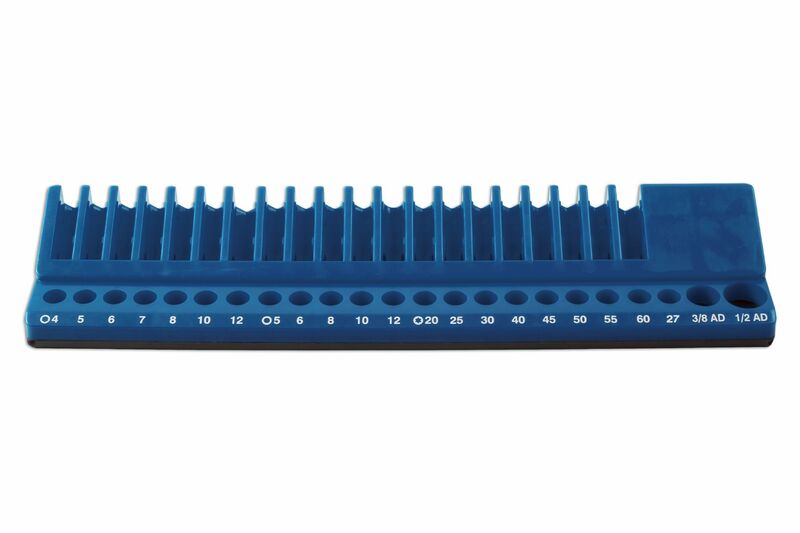 Specifically designed for 10mm shank automotive bits. 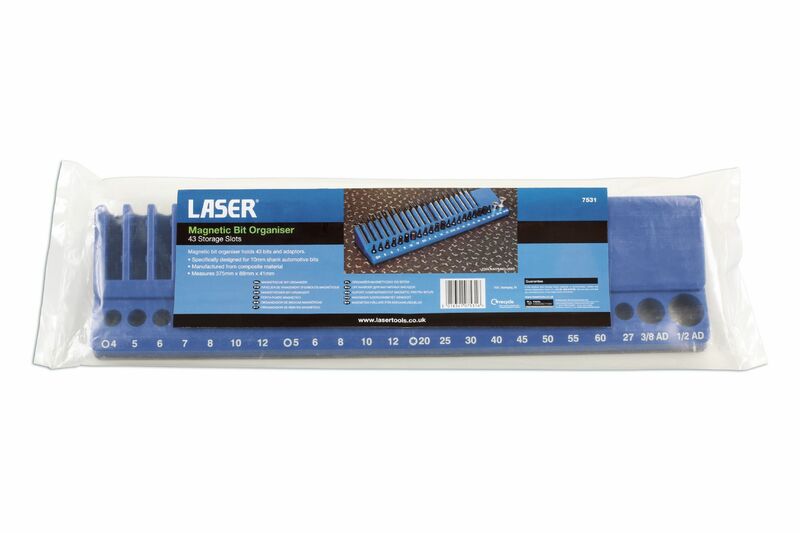 Size: 375mm x 88mm x 41mm.